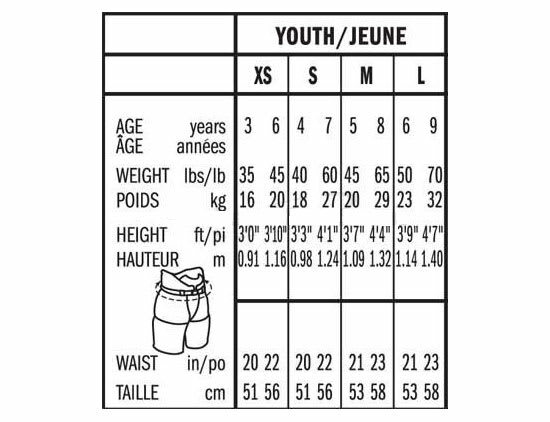 Bauer Supreme S170 Ice Hockey Pants - 2017 - Youth is rated 4.9 out of 5 by 8. The Bauer Supreme 2017 Youth Ice Hockey pants are a great pant for your little guy or gal to start their hockey career with. 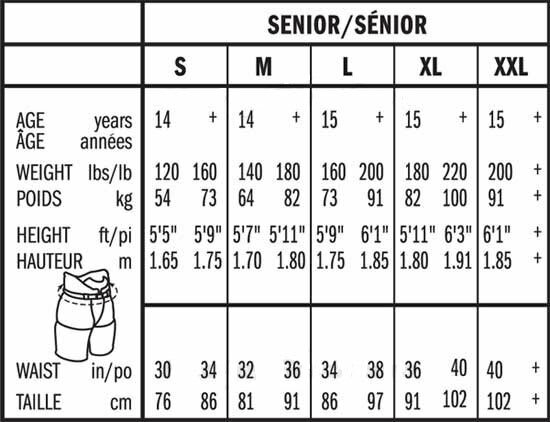 The pants are an anatomically fitting pant, meaning they fit closer to the body for a close, yes not constricting fit. The pants also feature a skate lace tying system, a nylon belt and suspender buttons giving you multiple options to get the fit you desire. These pants also feature MD foam with PE insert protecting your little one from pucks or less graceful skating maneuvers. MD foam can be found in the hip protection, thighs, as well as the extended spine protection. Finally, these pants feature an internal hydrophobic mesh liner with Sanitized treatment keeping the pants dryer and reducing the buildup of odor causing bacteria. Get your kiddo started off on the right foot with the Bauer Supreme S170 Youth Ice Hockey pants! Thigh Padding: MD foam with PE insert Type of protection covering the thigh. Hip Padding: MD foam with PE insert Type of protection covering the hips. Lower Back Padding: MD foam with PE insert Type of protection covering the lower back. Thigh Zipper: No Inner thigh zipper for easy dress and undress. Waist: MD foam with exterior belt Type of waistband design. Liner: Hydrophobic mesh with Sanitized ORT Material that lines the interior of the product. Rated 5 out of 5 by Phischer81 from Breezers were small enough Perfect for my smaller 4 year old! Didn’t want to put suspenders on him, with these we didn’t have to. Rated 5 out of 5 by Steve T from Protect that Hiney and Tailbone! Bought this for our new hockey player who is a 5 1/2 year old girl. Fit great and provided comfort whenever she hit the ice. She no longer worried about falling...after getting these all she would do is skate as fast as she could and then would go crashing onto the ice for "fun." Highly recommend! 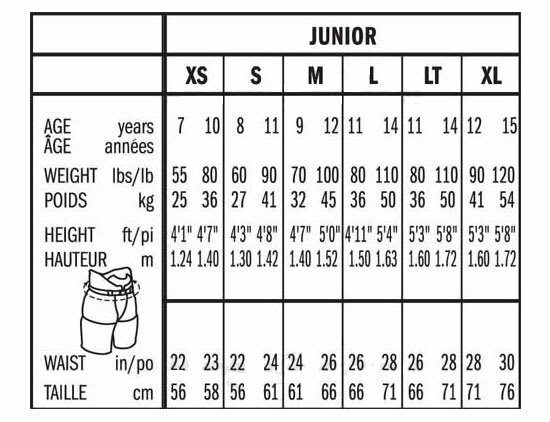 Rated 5 out of 5 by ozz377 from S17 Supreme S170 Pant YTH Purchased medium for 8 year old son. Quality and fit seem to be on par with the Bauer name. I like how the pant extends a bit higher than others, especially in the lower back area. Son says they feel light weight and allow free movement. Rated 5 out of 5 by CBJ12 from Grandson Loves Them I bought these for my grandson so he could wear to hockey practice - he loves them, and the fit seems perfect (see sizing chart online). As fast as kids grow, it seemed crazy to pay upwards of $90 for practice pants. These had good reviews, and seem to be of very good quality. Rated 5 out of 5 by FrostyEAGLe from Little Hockey Player Gaining Confidence Long enough strap for mom to tie and these are great quality shorts. The padding is great and has molded a bit better after being packaged flat. They are a little big for my 4-year-old, but they protect him and he is loving the security of skating with gear on! Rated 5 out of 5 by hockeydad12 from Perfect Fit Purchased this item 2 weeks ago for my aspiring hockey player. She loves them! They are a perfect fit, and the quality is as expected from Bauer! Rated 4 out of 5 by hockeymom17 from Hockey pants Has the extra padding for the tailbone area. Just what I was looking for.